I have a giant collection of magazines that I collect relating to food and drink. The primary collection is Fine Cooking, which I highly recommend. Those I save! Some magazines though, aren't worth saving. So why take up all that space. Especially when you need to pack and move! Those magazines get tossed...but not before I cut out the recipes and drop them in the wish box. Recipes that someday I'll get to and hopefully enjoy. I was transferring the contents of the wish box from an envelope box from the office to a nice letter box I picked up a few bucks at Ikea. It certainly looks much nicer. Anyway, while transferring, I came across a recipe I clipped from Real Simple. The recipe was for Dolly Parton's Dump Cake. 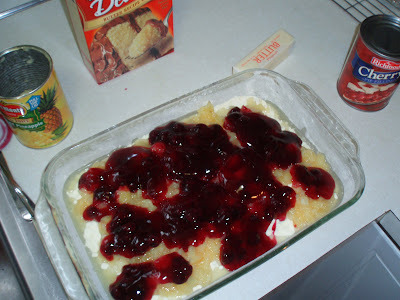 Dump Cake is a highly sweet, fruit based, cobbler-like dessert that gets its name from the fact that you literally dump the contents into a pan and baking it! Delicious and easy. But I have never made the Dump Cake and I haven't had it for ages. So might has well get started. 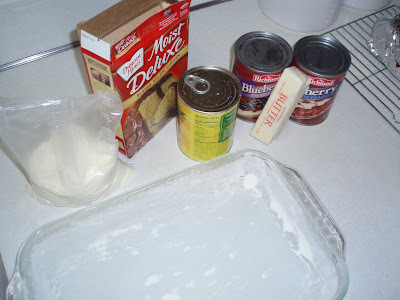 Assemble the ingredients and butter you baking dish. Slice a stick of butter and bake. A little ice cream and enjoy. Grease and flour a 9 x 13 cake pan. Put the yellow cake mix at the bottom. Pour the can of crushed pineapple over the mix, with the juice. Next dollop the pie fillings. Thinly slice the butter and place over the top. Bake the cake at 325 for 30 minutes. WELL...turns out the recipe is sort of wrong. 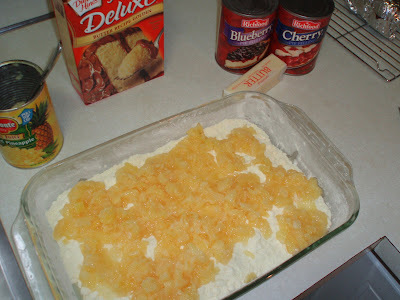 You need to start with the fruit on the bottom, then the cake mix sprinkled on the fruit...then the butter. Then bake. 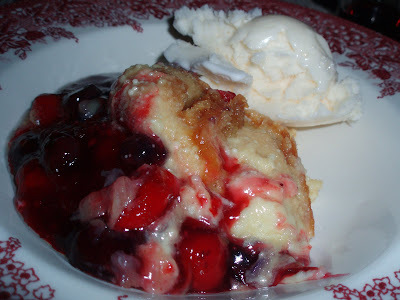 What you will get at the end is a very nice cobbler type dessert. Not the sloppy mess that we had. It was tasty though. Just not a proper dump cake. *The author of the Real Simple article/recipe said she first made the dump cake when she was working for Dolly Parton and loved it so much, she called it Dolly Parton's Dump Cake...it's not Dolly Parton's recipes. BTW...I Love Dolly and really love her new album, Backwoods Barbie, check it out. There are some great songs and even a little ditty she did a video for featuring Amy Sedaris. top that with the thinly sliced butter and then bake for how long? 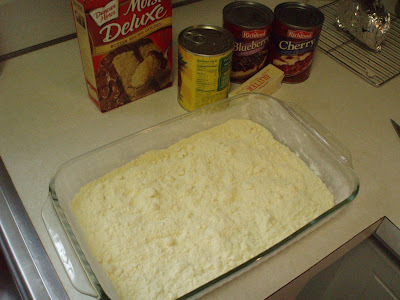 Follow the recipe as is, just invert the ingredients...pie filling, cake mix, butter...then back according to recipe. 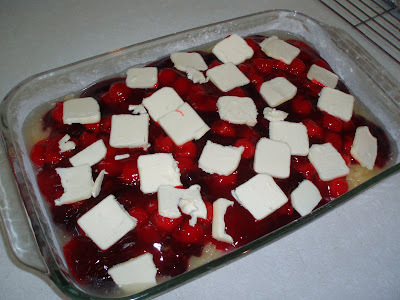 I actually remember this recipe and had cut it out myself! 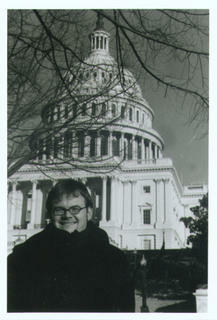 Also stay tuned for 9 TO 5 THE MUSICAL starting out in California soon... for reals! Scott, Scott, where did your mother and I go wrong? We had such high hopes for your culinary skills. Really, how can such a thing be "good and tasty" to use my son's words for good food? Good & Tasty! I don't know where that came from...overworked, tired and no thesaurus in sight? Wow, I could have written that article. followed the recipe as written and also baked it for 1 hour 15 min...then gave up. Maybe I'll try it the right (opposite) way.